The tables below contain broadcasting times, frequencies and other data which is valid from Sunday October 29, 2006, when Radio Prague and other international stations introduce seasonal changes to their broadcasts. (All times are given in UTC; local time in the Czech Republic is UTC+1 hour from the start of the B06 period). DRM (Digital Radio Mondiale) is a method of radio broadcasting which should in the future replace current analogue broadcasting on short-, medium- and longwave. Broadcasts from transmitters near target areas are always more reliable than those from distant transmitters. The supplementary broadcasts listed in the table are not included in printed schedules. 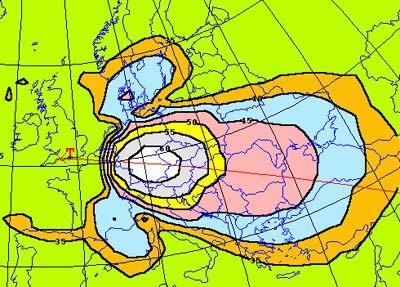 Broadcasts are received in this area in the morning hours local time. Reception from transmitters in Central Europe is very difficult there.